Automatic traysealing machine for all kind of preformed regular trays. Can make modified atmosphere (MAP) and vacuum packing. Tray transport system with arms. Suitable machine for integration in process automation with medium-high production performance. Automatic tray sealer for all type of trays and materials. Different printed top film materials can be used. Depending on the requirements of the product to be packaged, MAP, vacuum, skin… can be made. This equipment has been designed for integration into medium-high production lines or processes with high accuracy in tray positioning. The sealing process can be on one row(single-line) or in two rows (double-line) depending on the formats to be packaged. 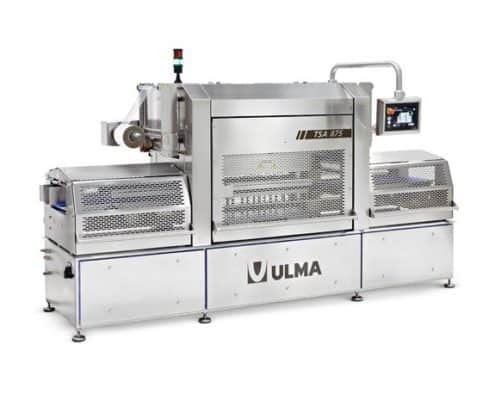 Al Thika Packaging is the exclusive distributor of ULMA Packaging in the Middle East. Since 1994 Al Thika has been supplying packaging machineries including flow pack (HFFS), vertical wrapping (VFFS), tray sealing, thermoforming, stretch film wrappers and sealing machine for food and non-food industry in Dubai, Abu Dhabi, Sharjah, Fujairah, Ras Al Khaimah, Ajman, Umm Al Quwain, Al Ain – UAE, Saudi Arabia, Muscat, Oman and the many other Gulf countries. High production performance: up to 20 cycles/min. Maximum tray height: 80/120 mm. Die lifting system by servomotor. Arm Opening/closing and die transfer by servomotor. Die change: Quick and easy change without tools and die/dome positioning detectors. Tray feeding and positioning by a belt with drum-motor. Gas pressure control by panel (recordable). Gas accumulator tank included. Film end and break detectors. – 10″ touch screen industrial PC. – Access protection by 3 authorisation levels. – Maintenance program integrated in the machine: event management. Dosing and product loading systems. 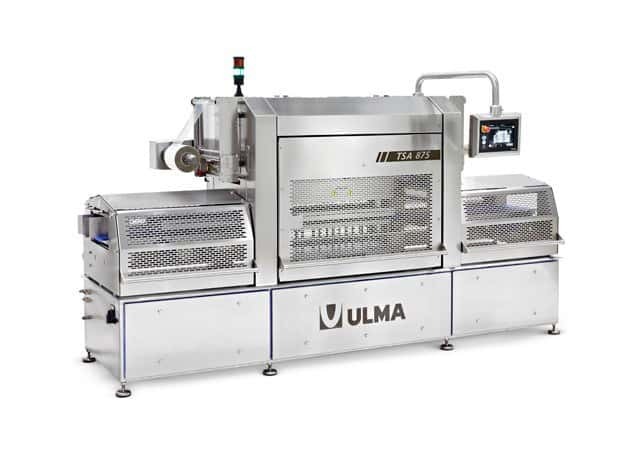 Seal tester: UST (ULMA seal tester). Integration into end of lines. Please click on the link below and fill out the form. Al Thika Packaging became the regional distributor for Storopack, specialising in protective packaging solutions. Storopack also offers customised integration of complete packing lines. The latest addition to the Al Thika Packaging range is Cablevey Conveyor, the gentle way to move materials.